Contents tourism researcher Okamoto Takeshi (岡本健) will give a course on creating “cherished places”—his way of describing what anime pilgrims do when they reclassify an ordinary location as an anime holy land—based on his book Seichi Business (巡礼ビジネス). The course is offered by the Asahi Culture Center in Hirakata, Osaka Prefecture on April 20. Nikkei Marketing Journal published an article summarizing local volunteer initiatives in Yamanashi Prefecture to engage with Yurucamp fans over the past year, highlighting positive reactions to the non-professionally managed events. China Radio International published an article about seichijunrei to Hitoyoshi, Kumamoto Prefecture for Natsume Yūjin-chō, and rising popularity of anime pilgrimage among Chinese visitors to Japan. Asahi Shimbun published an article about Chichibu, Saitama Prefecture preparing to install manhole covers with character images from Ano Hi Mita Hana no Namae o Bokutachi wa Mada Shiranai. (Anohana). The covers will be on display at the Chichibu History and Culture Museum until May 6, after which they will be installed at designated locations. Town News published an article about a map created by the Shōnan Fujisawa Film Commission introducing anime pilgrimage locations in Fujisawa, Kanagawa Prefecture, with emphasis on Enoshima. The map includes 39 locations from 8 series and is available in Japanese, English and Chinese. 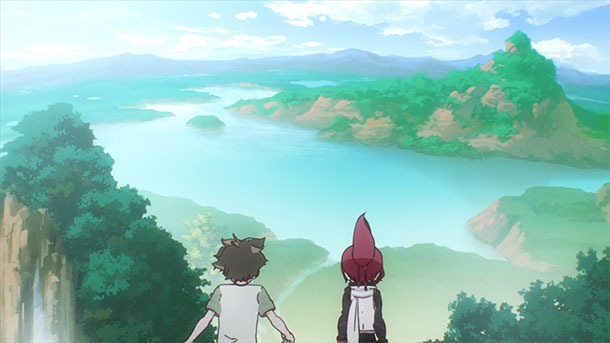 Walker Plus published articles introducing Zombie Land Saga locations in Imari and Kashima, Saga Prefecture. @fragments_sue made a pilgrimage to Fujisawa, Kanagawa Prefecture for Seishun Buta Yarō wa Bunny Girl-senpai no Yume o Minai. @rica0867 made a pilgrimage to Amanonosato, Katsuragi, Wakayama Prefecture for Non Non Biyori. @yomikatajiyu made a pilgrimage (post 4) to Chōshi, Chiba Prefecture for Amagami SS.